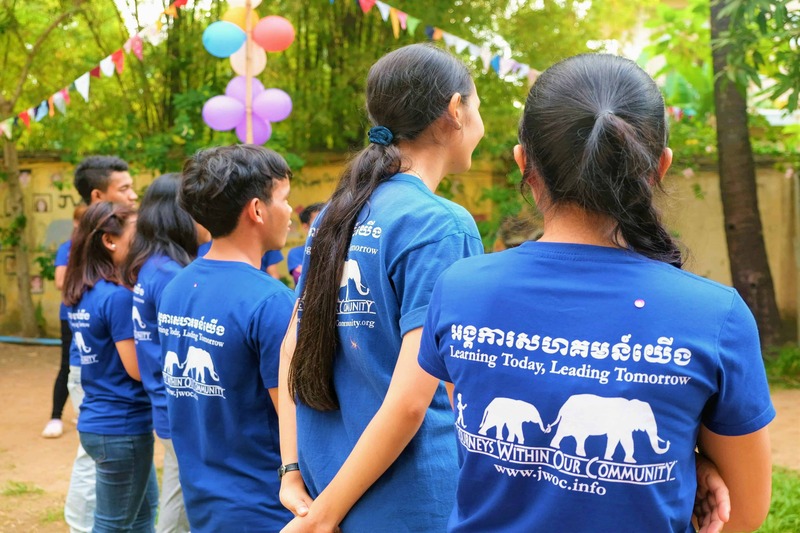 Through donor sponsorships, JWOC gives university scholarships to Cambodian students. The JWOC scholarship students are the driving force behind everything we do! With the average annual family income of $1200, and with the cost of university for one year being $700, the reality faced by most students is that university is well beyond their financial reach. With the help of donors, JWOC is able to grant university scholarships to Cambodians in Siem Reap, covering the full cost of tuition as well as textbooks. Scholarship students are chosen based on a demonstrated desire to gain a higher education, their willingness to help their community, their past academic performance and current financial need. JWOC’s students generally come from rural surrounding villages, work full time to support themselves and their families, attend university and work on JWOC’s community projects weekly. Since its inception, over 160 students have graduated from JWOC’s Scholarship program. These students have gone on to do amazing things creating what we call the JWOC ‘ripple effect.’ By sponsoring a student not only are you supporting their education but you are also helping all of JWOC’s programs while having the opportunity to learn more about life in Cambodia through correspondence with the student you sponsor. Covers tuition and all university textbook fees. Invest in a well-rounded student with professional development workshops, healthcare, and contribute to their service program! We request all scholarship sponsors to support their student for the full 4 year duration of their course. JWOC Scholarships are much more than just having someone pay university fees, they provide an opportunity to gain valuable professional experience that helps to shape the students’ career plans and aids them in getting jobs once they graduate. The additional training given by JWOC, across a range of topics including health, careers, and study methods helps our students to make the most out the opportunity they have been given.